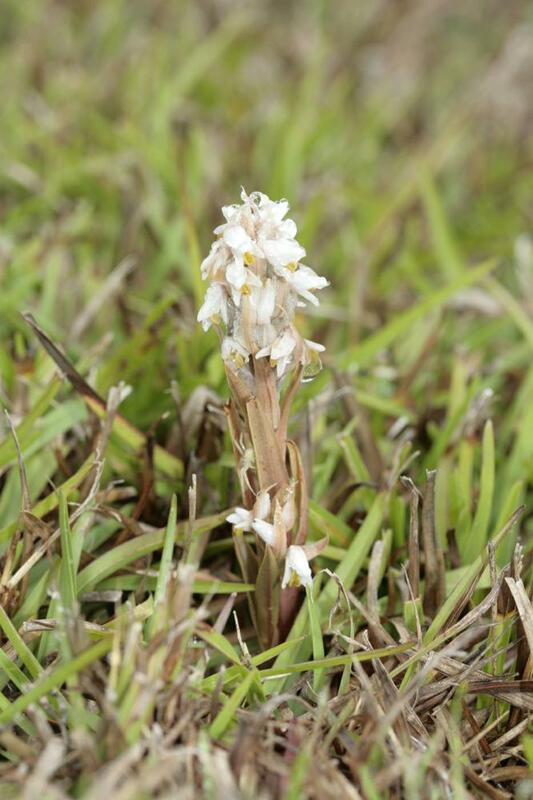 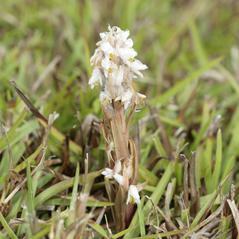 Zeuxine strateumatica, commonly known as the Lawn Orchid, is native to Asia but has become naturalized in the southeast U.S. and on the Hawaiian Islands. 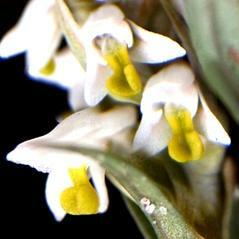 These plants are dark green when found in shaded habitats but appear reddish-bronze when growing in full sunlight. 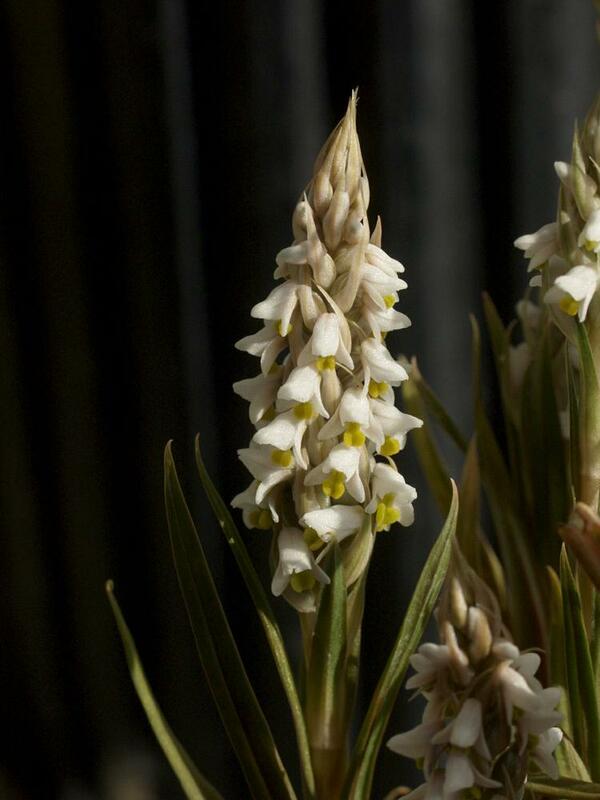 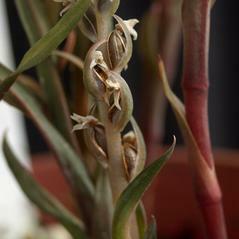 The narrow leaves are spirally arranged on the stem that terminates in an inflorescence with numerous small white flowers with a bright yellow labellum. 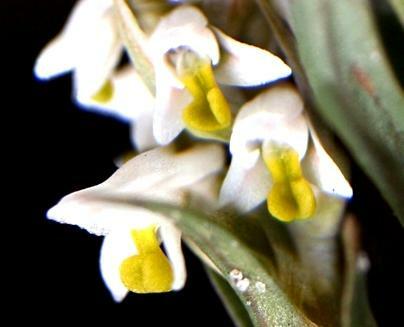 Zeuxine strateumatica blooms in late October through April in lawns, shrub borders, roadsides, farm fields, and occasionally hardwood hammocks and pinelands. 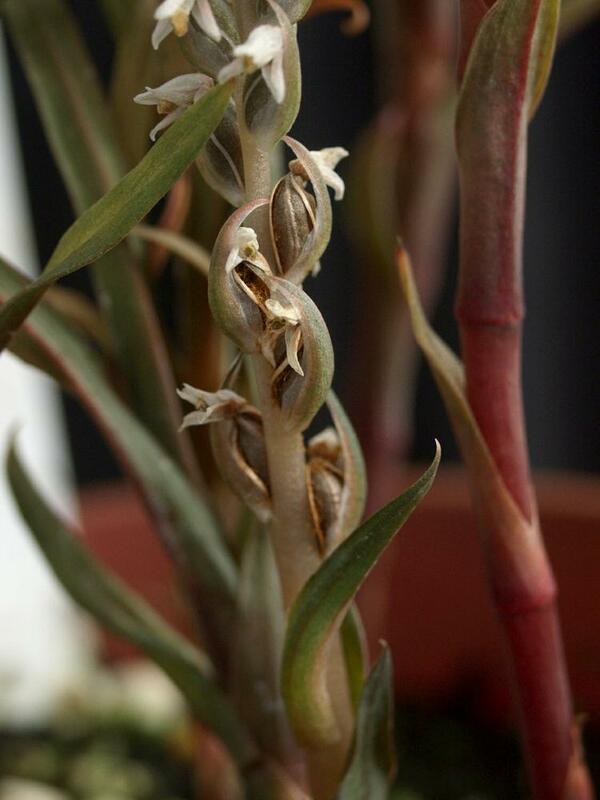 Plants can even be found in cracks in cement. 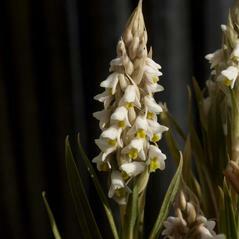 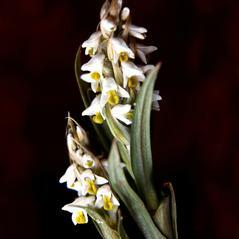 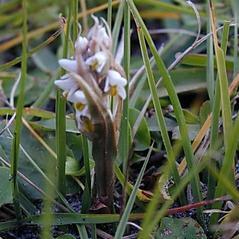 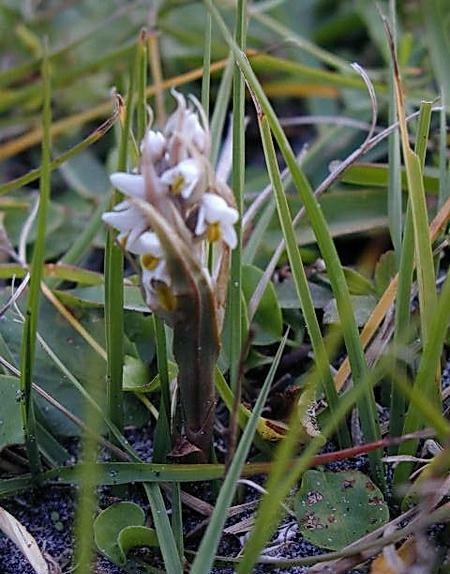 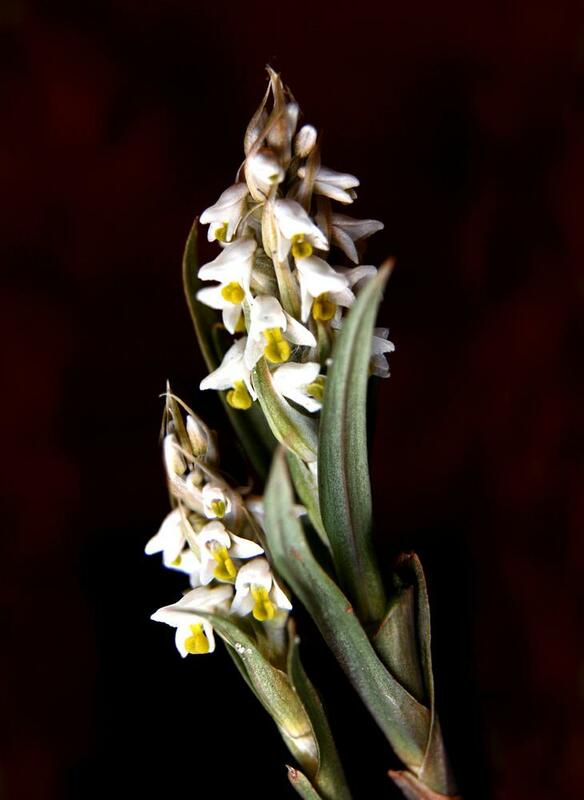 The conservation status for Zeuxine strateumatica has not been reported but this orchid occurs over a large geographical area and can be invasive, capable of exploiting a variety of habitats.